No one really knew what the Los Angeles Angels were getting in Shohei Ohtani. Sure, he absolutely dominated in Japan on both sides of the plate, but it was unknown whether that success would translate to the MLB. Ohtani, in case you’re unaware, is trying to do something that Major League Baseball hasn’t seen—at least successfully—since Babe Ruth. Ohtani is both a pitcher and a legitimate hitter, and the most exciting player to arrive to the MLB in a long time. And so far, that success in Japan has, in fact, translated to the majors. At the plate, Ohtani is hitting .364 with three homers and eight RBIs. On the mound he’s been nearly unhittable, sitting at 2-0 with a miniscule 2.08 ERA. 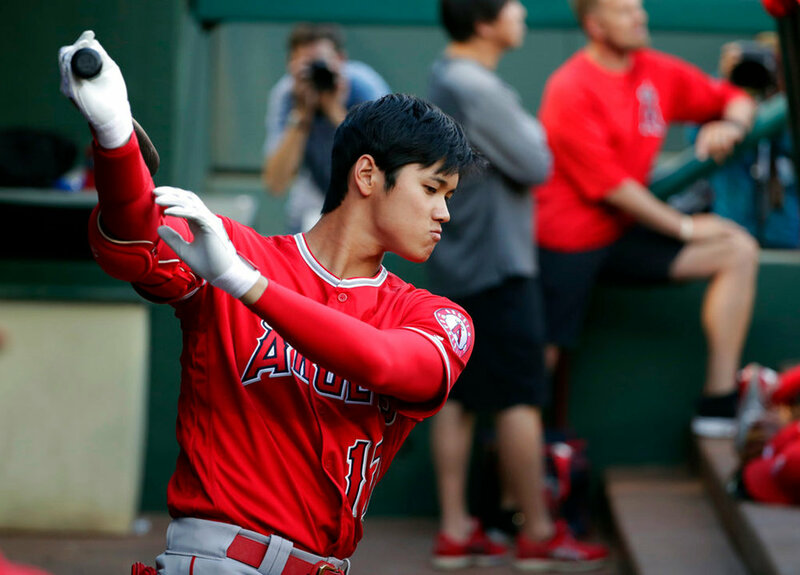 Despite all the speculation that Ohtani could not thrive in both positions, he has exceeded even the highest of expectations. The Angels have found a man who can do both. Here’s the one slight issue: the guy hasn’t played much. Of the Angels’ 13 games (in which they’re 10-3, by the way), Ohtani has appeared in only eight; six as a batter and two as a pitcher. He has only 24 plate appearances and two starts. Unlike most starters who pitch on about five days of rest, Ohtani gets six, and he does not play the day before or after pitching. With such a small sample size, it’s difficult to confidently proclaim that Ohtani is a future All-Star revolutionizing the game. But the results so far have been eye-popping to say the least. On Wednesday, Ohtani expressed his eagerness to play more often. I understand why the Angels have been cautious with him. After all, he’s a 23-year-old potential franchise player, and there’s no real established formula on how to manage a two-way player in the modern era. But eventually, Los Angeles has to let the phenom fly. Ohtani has played three straight games only once this season—and he homered in all three games. He has not looked fatigued on the mound in the slightest, surrendering only a single hit in his second start while striking out 12. Injuries are always possibility but they’re far from inevitable if managed well (unless it’s the Mets). From his time in Japan, Ohtani is used to more days of rest between starts than the average American pitcher, so I don’t mind the Angels employing a six-man rotation for the time being. However, he deserves more at-bats, and batting does not require the same recovery as pitching. As much as the Angels want to plan for the future, they should compete now. Los Angeles currently leads the AL West (which includes the Astros), and while they may not be a legitimate contender, they can certainly make some noise. Perhaps more importantly, their roster currently includes a guy named Mike Trout, a.k.a. the best player on the planet, and they need to convince him that it’s worth staying when his contract expires in two years. We didn’t know what Ohtani was when he arrived, and given his lack of playing time, we really still don’t. Five years from now, he may simply be a starting pitcher who only bats when playing the NL (if they haven’t adopted the DH position by then). Or, more excitingly, he could be the first in a new wave of dual-threats. For now, he’s a breath of fresh air, and one of the truly-fascinating stories in sports. There’s been much discussion as of late on the topic of what’s “good for baseball:” the revival of the Yankees-Sox rivalry, the emergence of young stars from Judge to Bellinger, the fun energy and dominance of the Astros. But a player that can both mow down batters and consistently crush the ball into the seats? Now that’s special. Ohtani is great for baseball. Hopefully the Angels give him a chance to prove it.